The Hogg and Davis, Inc., Model 636 Cable Sheave is a proven solution to many underground cable-pulling problems. The extra large 36-inch sheave can be used with most cables presently on the market – small to large – without fear of distortion or crimping. The large, smooth groove virtually eliminates scarring or marring of synthetic or lead sheath cables. A 360-degree swivel hook provides a strong anchor and allows the sheave to stay in line with the cable, eliminating the problem of the cable “walking out” of the groove – even when multiple or bundled conductors are being pulled. 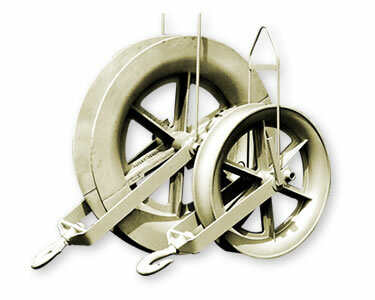 The unique twist-lock design, exclusive to Hogg and Davis, Inc., allows the sheave to be quickly assembled below; there are no nuts or bolts to work loose or get lost. 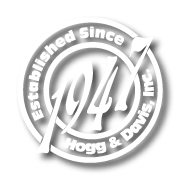 The new, lighter Model 636 Cable Sheave is a proud addition to the Hogg & Davis, Inc., family of proven performance products.